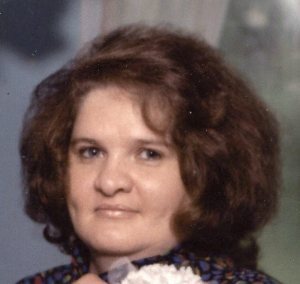 Judy Kay Whitehead, age 67, of Lawrenceburg, TN passed away Thursday, March 21, 2019 at Southern TN Regional Health System in Lawrenceburg, TN. She was a native of Auburndale, FL, a homemaker and of the Baptist Faith. She was preceded in death by her parents, Howard and Dora Sutton Lomax, and Carl and Virginia Sutton Freemon; one daughter, Sheila Stanton; two brothers, Buddy Freemon and Larry Lomax; and two sisters, Linda Ball and Donna Morris. Surviving are son, Allen Kirby of Lawrenceburg, TN; brother, Gaylon Freemon of Lawrenceburg, TN; sisters, Faye Betzler (David) of Lexington, TN, Alice Womble (James) of Lawrenceburg, TN, Mildred Mattox (Joe) of Lawrenceburg, TN, and June Cox of Loretto, TN; grandchildren, Shawn Kirby and Kayla Kirby of Lawrenceburg, TN; several great-grandchildren; and special friend, Hollis Whitehead of Lawrenceburg, TN. Arrangements are being handled by Neal Funeral Home, 231 N. Military Avenue, Lawrenceburg, Tennessee. The family will receive friends from 10:00 AM to 1:00 PM Sunday, March 24, 2019 at Neal Funeral Home. Funeral services will be conducted at Neal Funeral Home at 1:00 PM Sunday, March 24, 2019, with Jeff Toungett officiating. Interment will follow at Mt. Zion Cemetery - Sugar Creek in Lawrence County, TN.